Orbit Technologies has announced record orders for its satellite communication products — the company reports 2nd quarter additional orders in excess of $5 million of its marine VSAT systems. 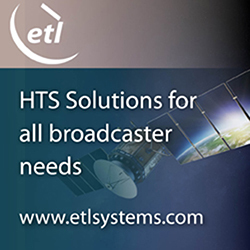 According to Orbit, total worldwide VSAT systems orders are expected to exceed $100 million this year. Orbit’s record VSAT bookings reflect intentional and purposeful changes at the company since Avi Cohen took over as CEO. Mr. Cohen has undertaken the planning and implementation of a new direction. This has resulted in new products, increased sales, and overall renewed vigor at Orbit. With a can-do attitude and a new vision, the new CEO is proving that his current plan is the right one, resulting with company growth and success even in the face of a global economic downturn. According to Frost and Sullivan, an international market research company, Orbit currently holds 17 percent of the world market for installations of VSAT antennae for satellite reception onboard marine platforms. Orbit, according to market research, is considered the world’s second largest supplier of these types of systems. Frost and Sullivan asserts that the market size of the marine segment of satellite communication is expected to reach $1.3 billion (systems and services combined).